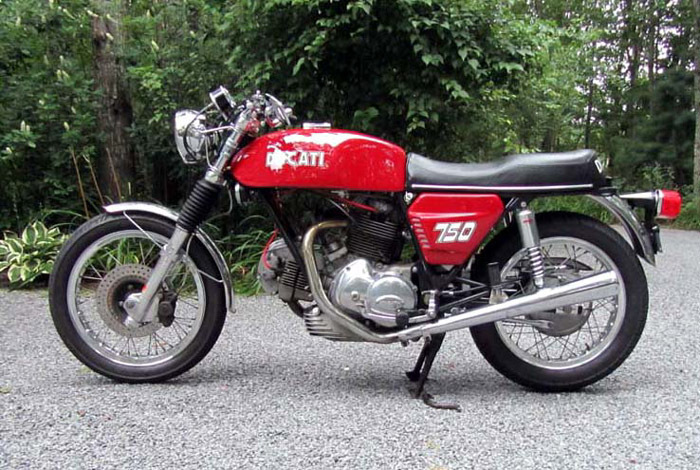 This is an extraordinary opportunity to acquire a superb, unmolested, ready-to-ride example of this legendary motorcycle along with rare and valuable spares and "factory" tools. 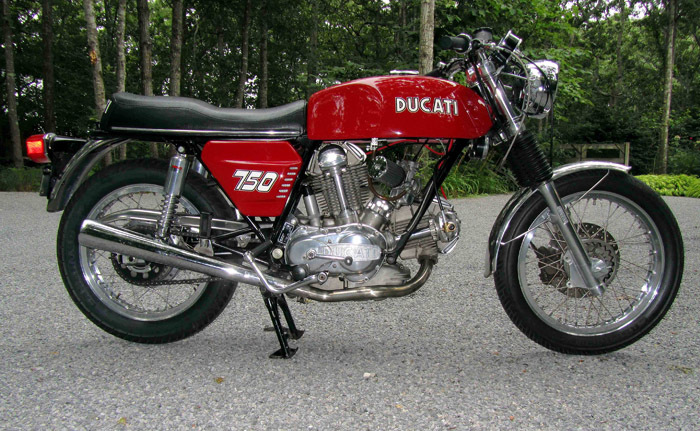 The bike (number 751404) is in excellent condition and starts and runs perfectly. It is offered for sale by the current owner of 14 years who rides it regularly. As a knowledgeable mechanic, he has done all maintenance and tuning. Offering the bike for sale is prompted by expanding automotive interests which, unfortunately, have limited time to ride. It has 31,000 miles on the odometer. The crankcase is still factory lead sealed. It has the original Borranis, INOX fenders etc. 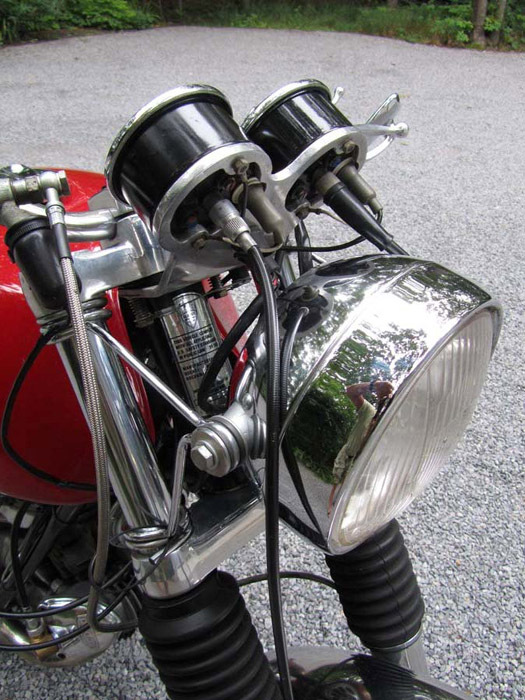 The original Amals were changed long ago for the proper Dellortos, but the original carburetors are included. The frame has never been repainted. The seat was upgraded on a stock seat pan, but the original seat and pan, which are in fair condition, are included. The tank is steel (far safer and more practical), but an original fiberglass tank is included. Front suspension is original Marzocchi leading axle with Progressive springs and original rear Marzocchi shocks were rebuilt by Falcon in England. Original Lockheed front brakes. 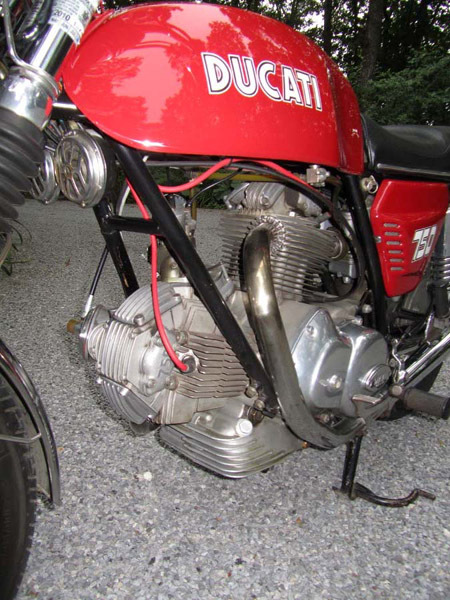 Dyna ignition and coils. Synthetic oil for last 14 years. Metzeler Lasertec tires are six years old. Original owners, workshop and spares manuals; Haynes manual. 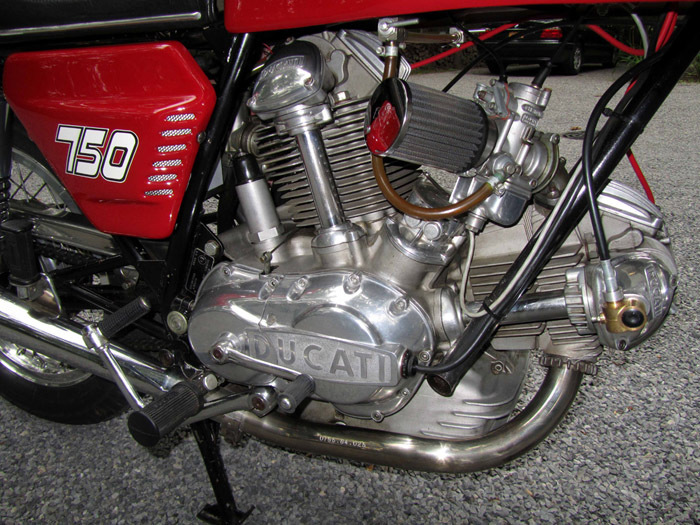 Included in the sale price are numerous rare and valuable new and unused spares including: pair of Conti silencers, crossover pipe and right side pipe; complete wiring harness; NOS fuse box; under seat "tool box" ; set of bevel gears; breather assembly; some transmission gears and Surflex clutch. Also included are many serviceable used spares including: a pair of front forks; a pair of side covers; rear hub and brake; camshaft; rockers; throttle assembly etc. Also included are several unused NOS factory tools including 887130110 flywheel primary gear puller. 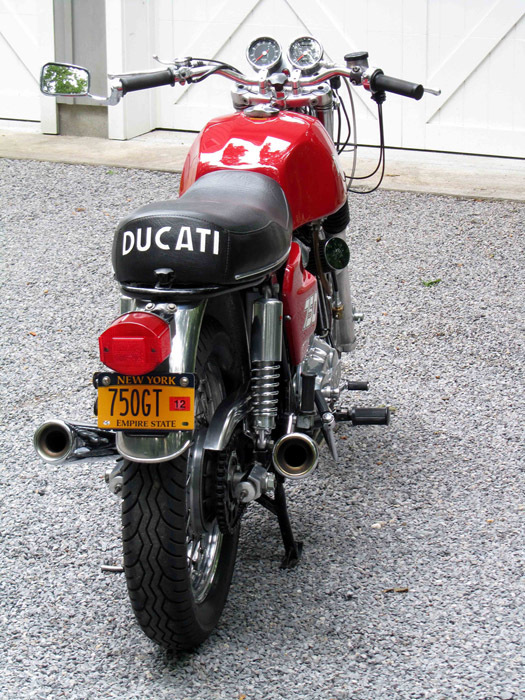 Bike is located in Eastern Long Island, New York. Buyer covers shipping and insurance. I welcome any questions and will provide more photos and detail on spares to serious potential buyers.